Conventional wisdom suggests that people who don’t speak up have nothing to say, but introverts simply prefer to express themselves differently. Introverts are known for their creativity, their need for thoughtful reflection, and their preference for solitary activities, such as drawing and writing. 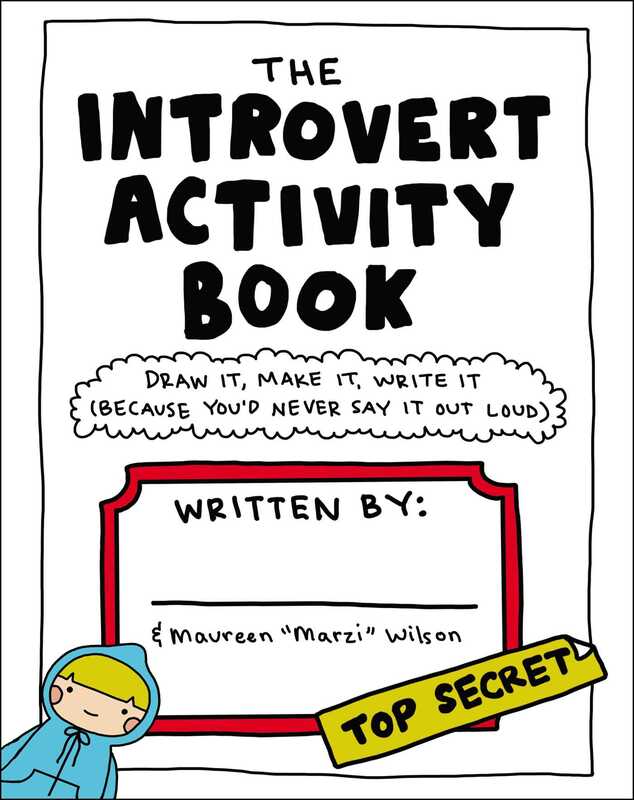 The Introvert Activity Book offers doodle ideas, lists, paper-craft projects, writing prompts, and so much more—the reader becomes the author! Beautiful and messy, funny and insightful, inspiring and relaxing, The Introvert Activity Book is perfect for introverts at any age. Join the introverted animated comic character, Marzi, on a journey to discovering your creative voice within!